Raise your hand if you enjoy lounging in bed with a cup of coffee and a newspaper on Sunday mornings. Our latest room makeover customer Judy came to us because she wanted help creating a master bedroom retreat, in her style and on her budget. 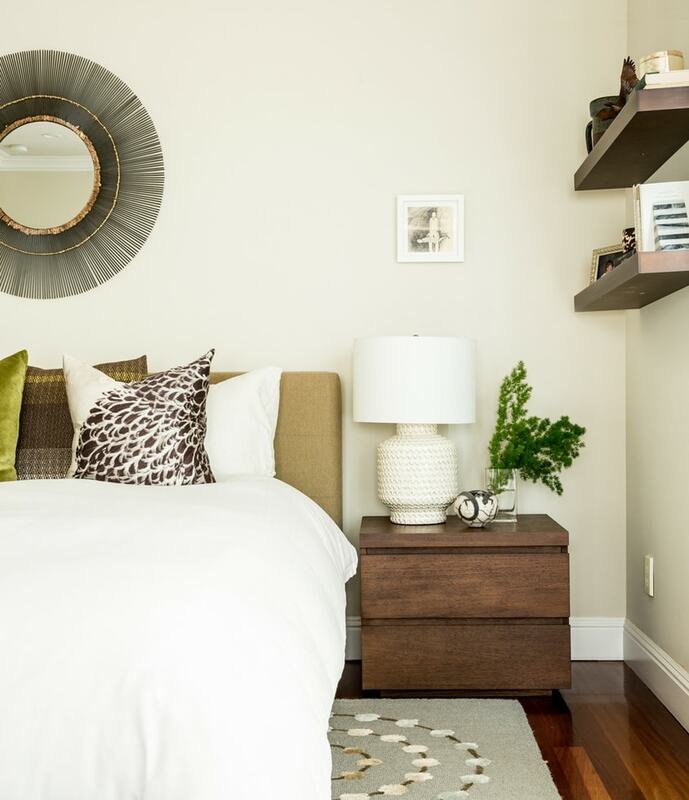 Here's the gist of what Judy wanted: a serene bedroom that's stripped down but not boring. Mission accomplished, right? We recommended neutral, earthy palette with rich browns and shades of green, Judy's favorite color. 1. Embrace texture and pattern, selectively: YES - you can use the words pattern and serene in the same sentence. You just need to be selective. Here, the "swirl" patterned rug, textured white ceramic table lamps and silk, feather print pillows all add dimension to the space. It works because all of the design elements are within the same color palette and tone. 2. Create contrast. We love the rich contrast of the white lamp and dark wood dresser, and the green velvet pillow against the crisp white sheets. Contrast adds dimension to space without making it seem busy or overdone. 3. Finish it off with a focal point. The gorgeous, gilded sunburst mirror makes a dramatic, sculptural statement on the wall without overpowering the room. In this case, less is definitely more! 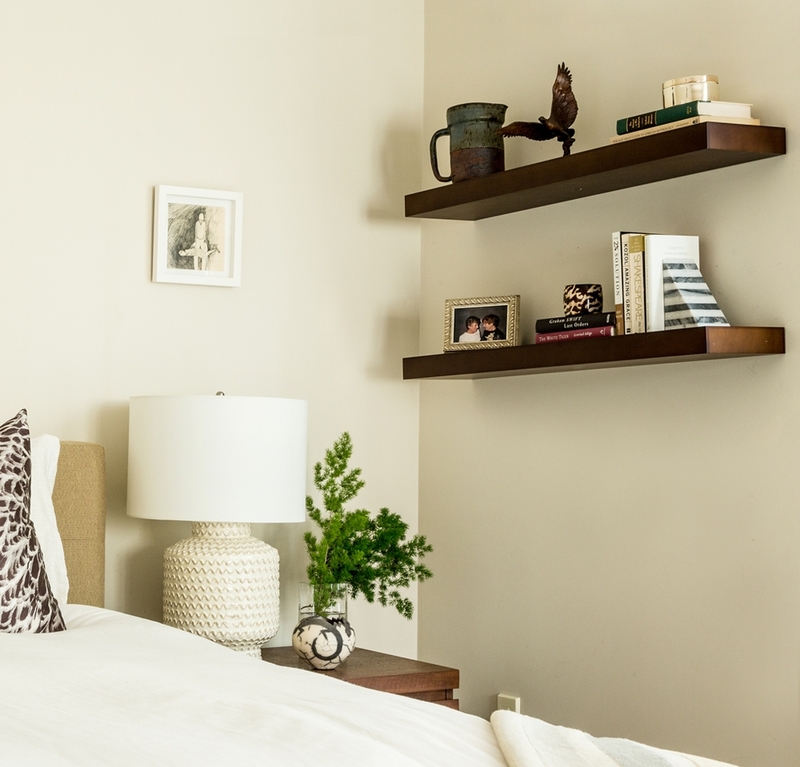 One last parting tip (we can't help ourselves): floating shelves are a GREAT way to both store and showcase decorative objects in a stylish way. We love their clean, weightless look.